We are a vehicle repair garage in Bournemouth offering MOTs, Servicing and Repairs for cars, light commercials and campervans. We have 2 Service Centres located for easy access from the Winton, Moordown and Charminster area of Bournemouth. All our work is covered by a nationwide guarantee scheme and all servicing is undertaken in accordance with the manufacturers published schedule, so you get the same main dealer servicing without the main dealer price. 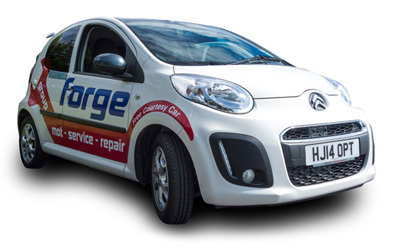 We have a variety of courtesy cars and commercials available, so please ask about availability when you book. Courtesy vans and Cabstar pick up are available on request however there is limited availability so please enquire when making your booking.